​Pilgrimage is one of the fastest growing segments of the global travel industry, with 330 million pilgrims annually – one third of all tourists worldwide, according to UNWTO. And this has the potential to bring many benefits to local communities, such as improving economies, creating jobs, promoting cultural exchange and protecting the environment. 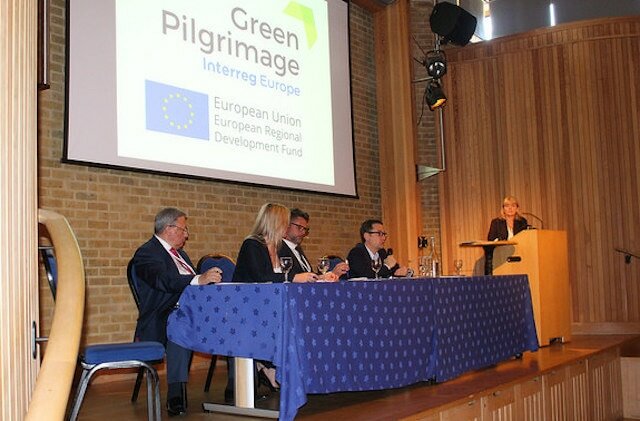 That was the message from the launch in Canterbury, UK, of the Green Pilgrimage Interreg Europe project – a major, European Union-funded initiative to promote green pilgrimage in Europe. The five-year, €1.18 million project, which runs to 2022, brings together six regions in England, Italy, Norway, Sweden and Romania (find out more about the project here). 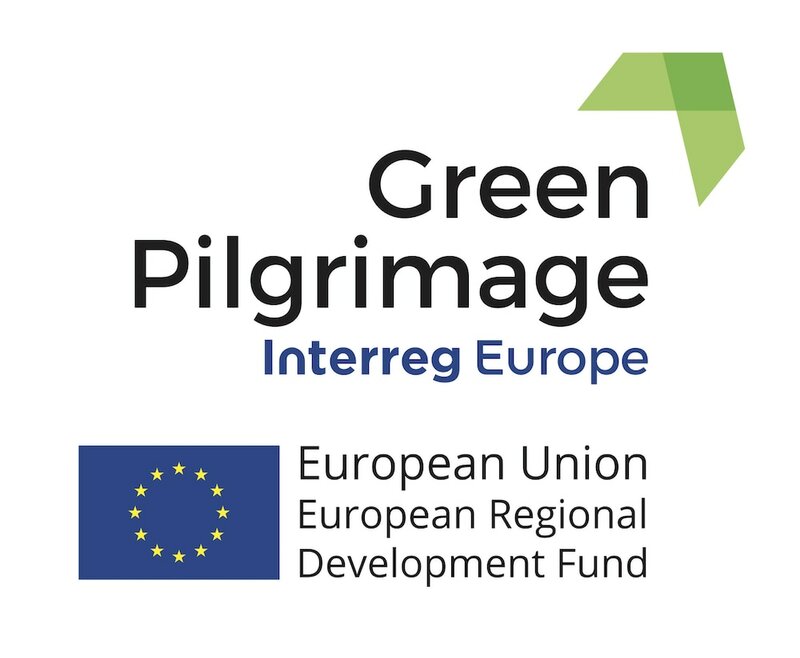 The European Green Pilgrimage Network is an advisory partner to the Interreg Europe Project and is housed by the Diocese of Canterbury. The Diocese hosted the Pilgrimage - Growth and Tourism Conference, which launched the Interreg Europe project, with a five-day meeting of around 70 people in Canterbury, UK, in May 2017. Meanwhile, the Way of St Olav in Norway is growing by 30% a year, from 165 pilgrims in 2010 to more than 10,000 pllgrims annually today; this figure is expected to increase to nearly 30,000 people by 2025. Jose Luis Maestro Castineiras of Xunta de Galicia said its analysis showed that tourists travelling on the Camino spent an average of six days and €44 per day in the region of Galicia. Their impact on the local economy was clear, with a massive growth in accommodation, jobs and services along the main pilgrim routes, compared with tourism in other parts of Galicia. What was striking was the key role played by local authorities in both Spain and Norway in developing the pilgrim routes. At an early stage, they made a conscious decision to invest in signage and infrastructure such as establishing laws or structures to manage paths, or providing cheap hostel accommodation, and to promote the routes to the public. Dr Stefano Dominioni, Director of the European Institute of Cultural Routes which includes several pilgrim routes, said it was critical to make the case to politicians that investing in these routes brings a number of positive consequences such as opportunities for new jobs or income. That was particularly true of rural communities, which often struggle to maintain both their populations and their economic growth. The conference continues until Friday May 19, and includes study visits and a walking pilgrimage through the beautiful Kent countryside. Download a copy of the programme here. What – or who – is a pilgrim? That was the question that came up repeatedly during the first day of the European Green Pilgrimage conference in Canterbury, UK, on Tuesday May 16, 2017. ​Jose Luis Maestro Castineiras of Xunta de Galicia said its research indicated that only 11% of pilgrims came on the Camino for purely religious purposes. However, 72% cited a mixture of religious/spiritual reasons plus other motivations. Hans Morten Lovrod, Director of the National Pilgrimage Centre inTrondheim, Norway, agreed. "It's important to stick to the concept of a pilgrim.